This uncertain world is full of uncertain surprises in a number of uncertain forms. We are always awestruck after we confront the endless and expanding beauty of Mother Earth. It cannot be denied that the world is full of places which tend to give us surprises in one way or the other through their existence, presence and survival. There are innumerable places which are yet to be explored and defined on account of their natural beauty and appeal. There are also such places which are not in the limelight as they are still miles away from commercialisation. One such place is Varkala, which is still not known to many travellers and tourists; however, its popularity is increasing day by day amongst fellow travellers due to its spellbinding charm and attractiveness. Located on the western side of Kerala, this coastal town is home to many old temples of India and hence, it is often referred to as Dakshin Kashi (Benares of the South). There are a lot of temples in Varkala which are dedicated to Lord Vishnu and have a Vaishnavite shrine. 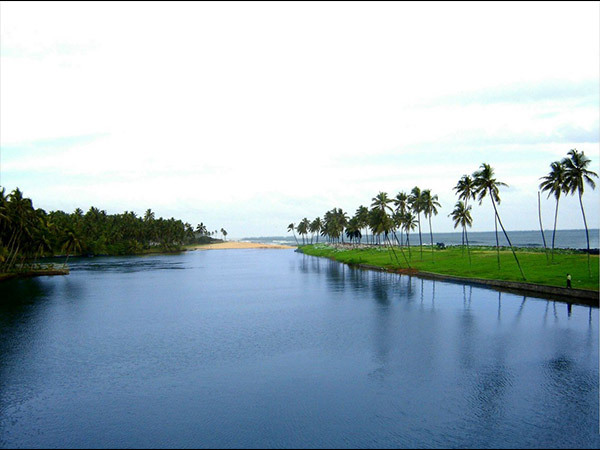 Apart from temples and other monuments related to the history of the place, one can also watch the backwaters surrounding the town, beaches on the western side and gardens. Here you can find cliffs adjacent to the Arabian Sea. Well, let me go ahead and introduce you to some of the major destinations of this town. This is the southern part of Varkala Beach. Papanasam comprises of two words, paap means sins and nasam means destroyer or wash away, so together it means destroyer of sins. This beach is considered to have holy waters, which wash away the sins of people. Due to spiritual connectivity, it is also considered as a significant Ayurveda treatment centre. If you desire to just sit idle and linger over the views around, then Varkala Beach is the place to be present at. The view of the sunrise and the sunset will leave you reluctant to leave this place. It is an estuary which merges into the Arabian Sea after giving a grand spectacle of the joint which leaves the viewer stunned with the formation of beautiful white layers. This scene can be enjoyed from the bridge over the lake which adds loveliness to it. Janardanaswamy Temple is the oldest amongst all the temples, being 2000 year old, with a Vaishnavite shrine and is located near Papanasam Beach. It is one of the most spiritual places in the town and is deemed as the place with divine presence at all times. If you are interested in knowing a little bit of the history of Varkala, then Anjengo Fort, also known as Anchuthengu Fort, is a must-see destination. This fort has its history dating back to British rule. History lovers will find this place really intriguing. This fort with beautiful surroundings is located about 15 km south of Varkala. Varkala is well connected to all major towns and if you are planning to travel by air, then Trivandrum airport is the nearest airport at a distance of 51 km from Varkala. One can also take a train from any major town to Varkala railway station. The fascinating creativity of nature can be seen throughout the year. However, the best time to visit Varkala is from October until the end of March as the temperature conditions are optimum and favourable. So, this is Varkala, the place less travelled but with artistry. Pack your bags now! Get yourself to the destination before its path is downtrodden by everyone.